Quantum walk is one of the main tools for quantum algorithms. Defined by analogy to classical random walk, a quantum walk is a time-homogeneous quantum process on a graph. Both random and quantum walks can be defined either in continuous or discrete time. But whereas a continuous-time random walk can be obtained as the limit of a sequence of discrete-time random walks, the two types of quantum walk appear fundamentally different, owing to the need for extra degrees of freedom in the discrete-time case. In this article, I describe a precise correspondence between continuous- and discrete- time quantum walks on arbitrary graphs. Using this correspondence, I show that continuous-time quantum walk can be obtained as an appropriate limit of discrete-time quantum walks. 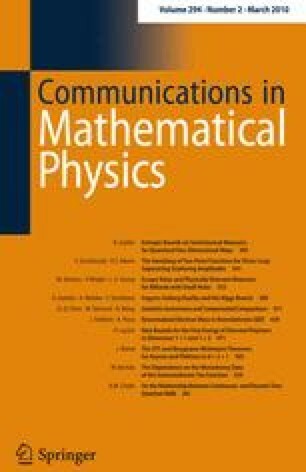 The correspondence also leads to a new technique for simulating Hamiltonian dynamics, giving efficient simulations even in cases where the Hamiltonian is not sparse. The complexity of the simulation is linear in the total evolution time, an improvement over simulations based on high-order approximations of the Lie product formula. As applications, I describe a continuous-time quantum walk algorithm for element distinctness and show how to optimally simulate continuous-time query algorithms of a certain form in the conventional quantum query model. Finally, I discuss limitations of the method for simulating Hamiltonians with negative matrix elements, and present two problems that motivate attempting to circumvent these limitations.